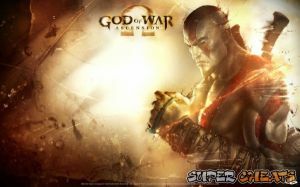 Kratos returns in this seventh installment and the prequel of the God of War series. This is the time, when the great spartan general, Kratos was tricked by the God of War, Ares into killing Kratos' own wife and daughter. After renouncing Kratos, he was captured and imprisoned by the three Furies for breaking his blood oath to a god. Welcome to Supercheat's unofficial guide for God of War: Ascension for the PS3. This guide will assist you in finishing all 30 chapters of the main story, find and obtain all collectibles as well as assist you in unlocking Trophies. How do I pass the level where you have to start a fire to start something then you fill it with gold? Not sure where to go after i get the gold. Omr boss? Feel stupid for asking but tired of losing !!!! !